WELCOME TO GLADE CREEK Located conveniently in Roanoke VA, Glade Creek is a tranquil, secluded setting convenient to all areas of downtown Roanoke. 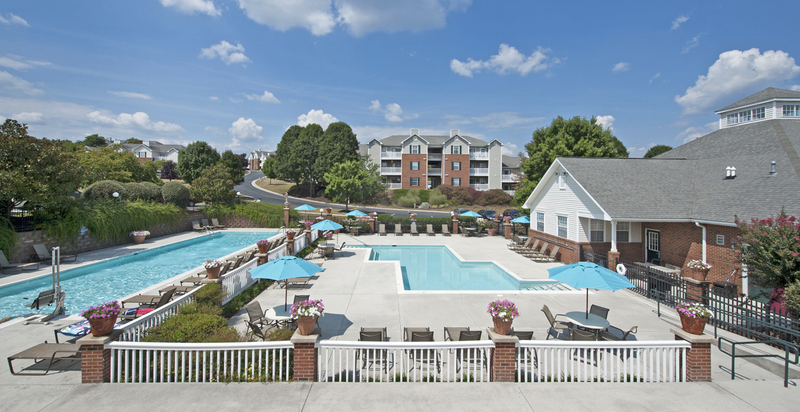 When you come home to your Glade Creek apartment, you will enjoy not only a sun deck overlooking two pools and breathtaking mountain views, but also the quality of award-winning service. Come see why Glade Creek Apartments is the best in Roanoke. I feel that service and upkeep of the apartments is lacking considering what I pay for rent. As a resident that has been here for a decade, the steep increases of the last couple of years are hard to swallow considering the upkeep of the building. If I want something replaced then my rent will increase even further and it's getting harder to stomach each year. I love the location and Dana has been great. I would hate to leave but if these increases(w/ no benefits) continue, I will have to. Office staff is amazing especially Dana Bales! The grounds keeping staff is equally awesome. Just a great place to live. Glade Creek is the best living in Roanoke! Management and staff are the best! Glade Creek is the best living in Roanoke! Management and staff are the best! This is a wonderful place to live. The staff is wonderful and make you feel like family. They keep the grounds beautiful and will help you with almost anything you ask. I highly recommend living here. Very convenient to Vinton and Roanoke. Lovely, large 3 bedroom, well kept grounds, great maintainace dept & friendly, accomodating office staff! Good walking community. Very pet friendly, especially for dogs. Nice laundry room in apartment. My husband and I have lived here for 4 1/2 years after owning home/farm for 30 years after downsizing for retirement. We have loved every minute in this community. Any problems are handled professionally by the office staff they are attentive friendly and knowledgeable. The Maintenance staff are so efficient and professional. We love living here and our neighbors are all friendly and respectful of us "old folks". The best community in Roanoke! Glade Creek is very conveniently located luxurious community in Roanoke. Condition of apartments is excellent. I would rate it 10/10 for size of the unit, view, location, cleanliness, professionalism of staff etc. they have 24 hour fitness center which is really great! I can highly recommend Glade Creek to anybody!